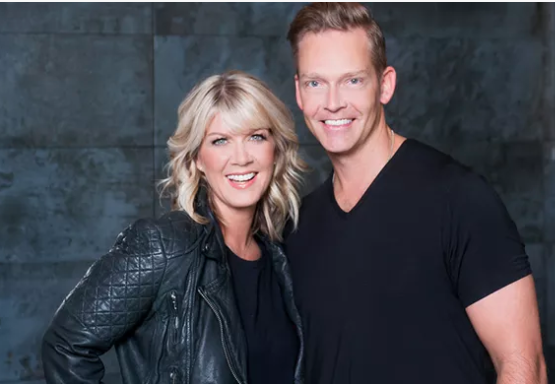 Multi-award winning singer-songwriter-producer team Natalie Grant and Bernie Herms will be presenters at the 60th Annual GRAMMY® Awards Premiere Ceremony on Sunday, January 28 live beginning at 3 p.m. EST. Watch the live stream at www.grammy.com. Collectively, the husband/wife team is nominated for three awards including Grant’s single “Clean,” for Best Contemporary Christian Music Performance/Song from her No. 1 debuting album Be One. Herms receives two as songwriter for “Oh My Soul,” recorded by Casting Crowns for Best Contemporary Christian Music Performance/Song and for his work as a producer on Danny Gokey’s hit album Rise, for Best Contemporary Christian Music Album. Some of his recent projects include Hillary Scott’s GRAMMY® winning #1 single, “Thy Will” (14 consecutive weeks at #1), Barbra Streisand’s GRAMMY® nominated and #1 debuting album, Partners, Natalie Grant’s #1 debuting album, Be One, and Danny Gokey’s #1 debuting album, Rise. After the success of producing Josh Groban’s GRAMMY® nominated album, Stages, Bernie is back in the studio working on Groban’s next project. Previous More Birth Defects Seen in Parts of U.S.